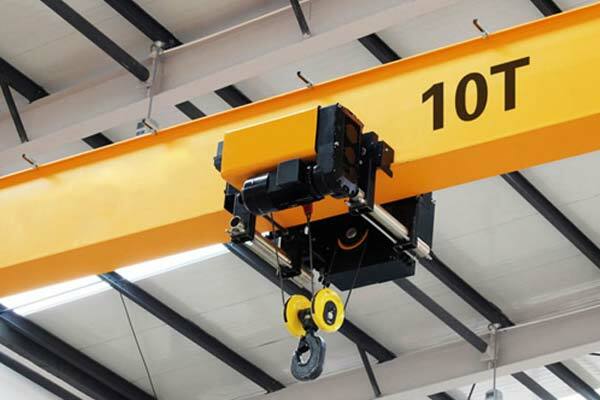 This single girder overhead crane is manufactured according to FEM/DIN standard. FEM/DIN single girder overhead crane is widely used in machinery manufacturing, metallurgy, ports, rail stations and warehouses. 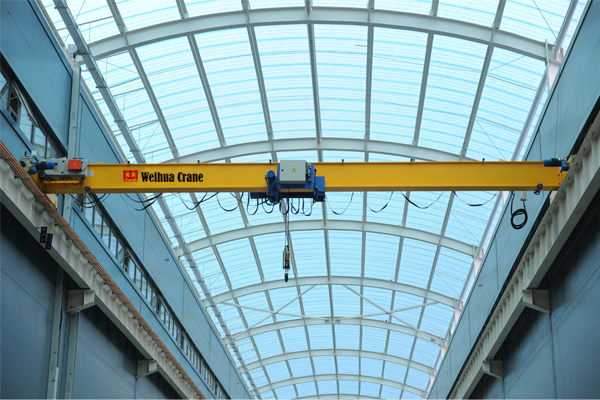 This single girder overhead crane is designed and manufactured according to advanced FEM/DIN standard. 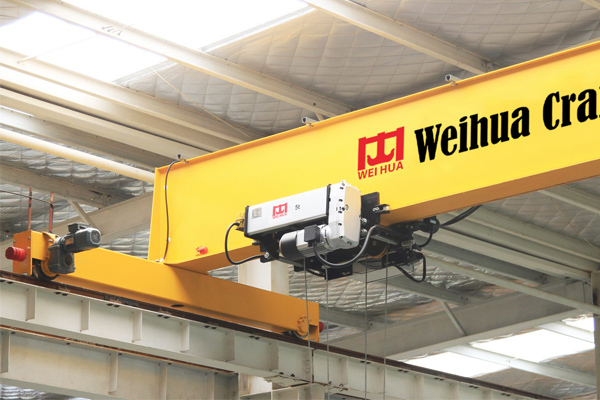 FEM/DIN single girder overhead crane has compact structure with small wheel pressure, which efficiently uses limited space in workshops to reduce structure investment. 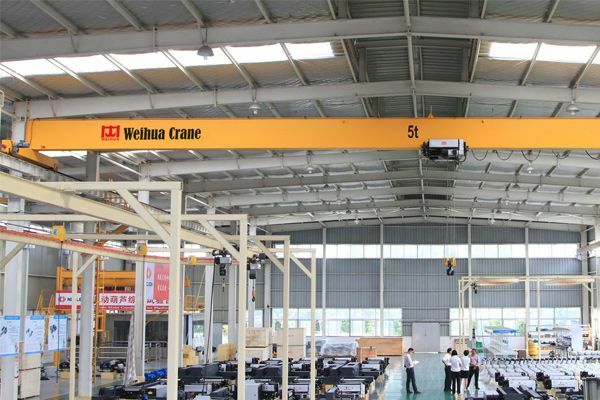 FEM/DIN single girder overhead crane is widely used in machinery manufacturing, metallurgy, ports, rail stations and warehouses to supply more efficient logistic solutions, especially suitable for the places need precise positioning. 1. 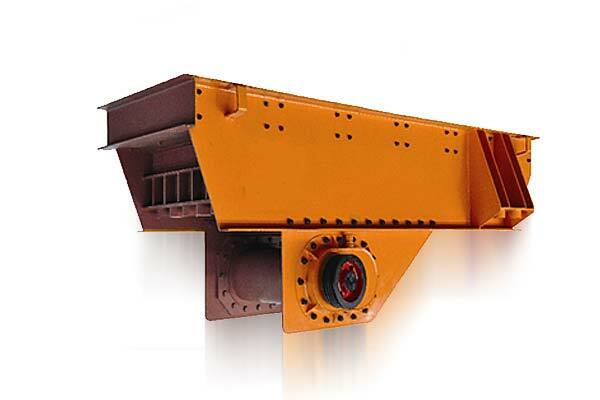 Computer optimized design of box-typed main girder, the full length of web plate is cut and formed through numerical control and its deflection is accurate. 2. 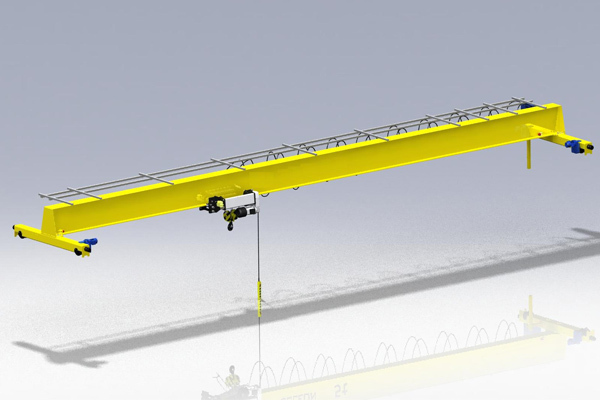 Low clearance structure of trolley and reasonable size of hook allowing the crane wide application scope. 3. 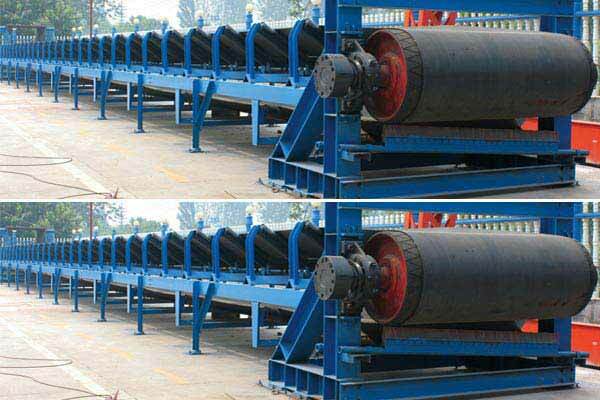 Arc wheels or flat wheels, anti-friction bearings, honey-typed buffers and anti-derailment devices. 4. 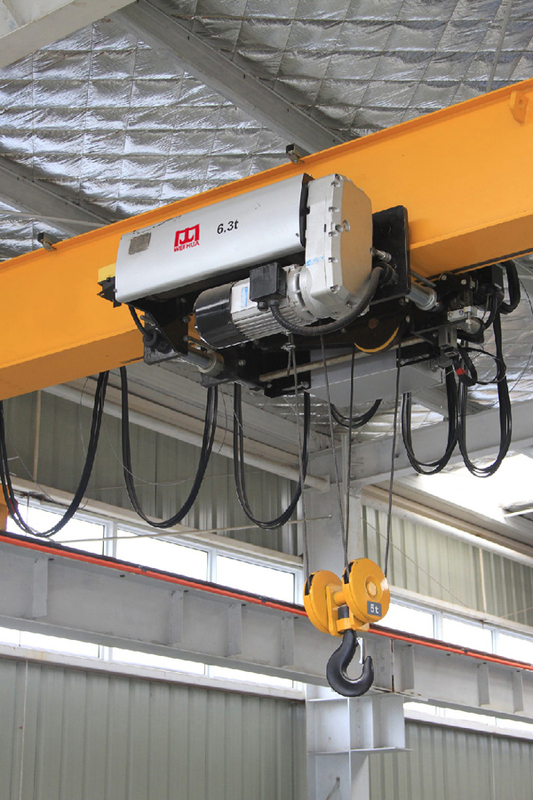 Three-in-one motor drive, steeples speed control, hardened reducer, safety disc brake. 6. 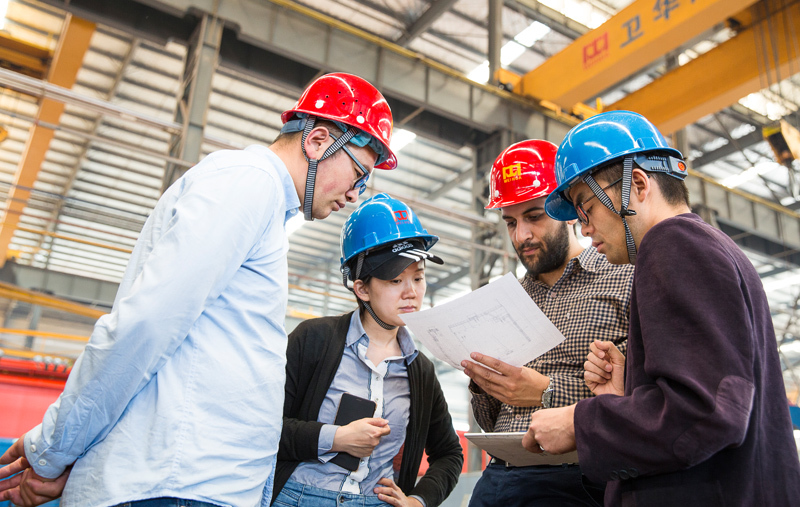 Shot blasting grade reaches Sa2.5 after welding and releasing internal stresses to insure the best performance of main girder. 7. 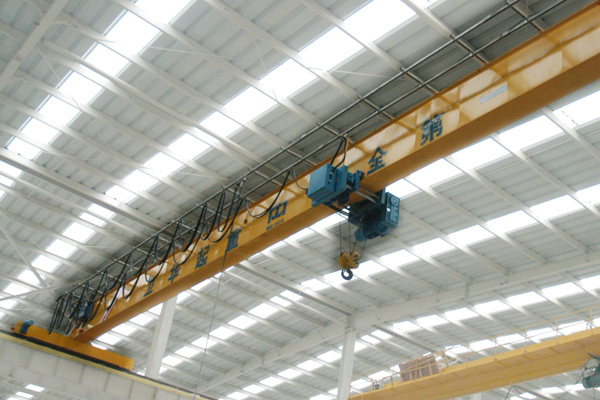 Painting epoxy zinc-rich primer, and the thickness of oil film is 140 μm. 1. Power supply through slide lines. 2. 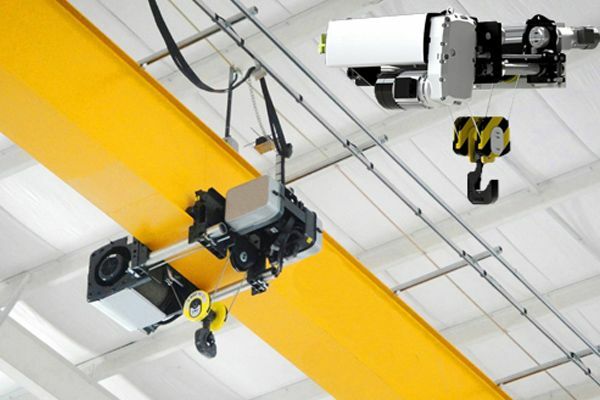 Phase protection; automatically disconnect main power when phase stagger occurs. 3. 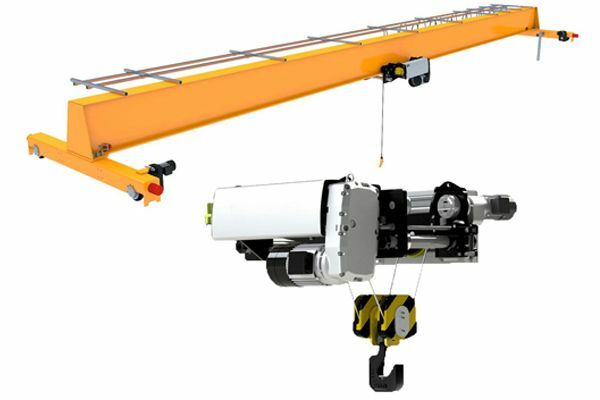 The crane and hoist are mutually independent and could travel at the same time. 4. 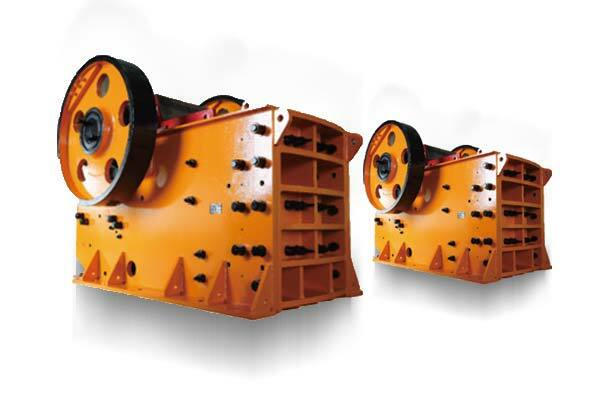 Sliding contact line meets the requirement of power supplying and adapts shaking. 5. 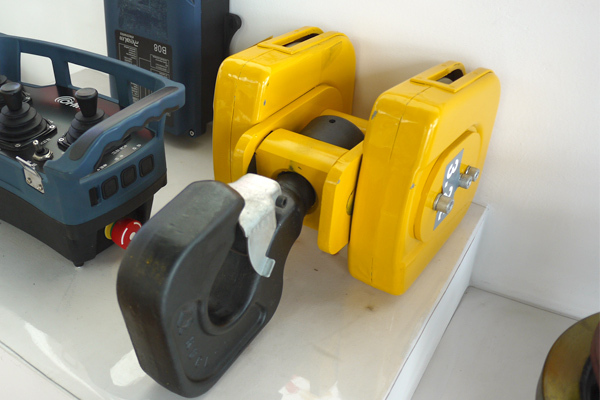 Etch-proof control handle with protection degree IP54. 7. 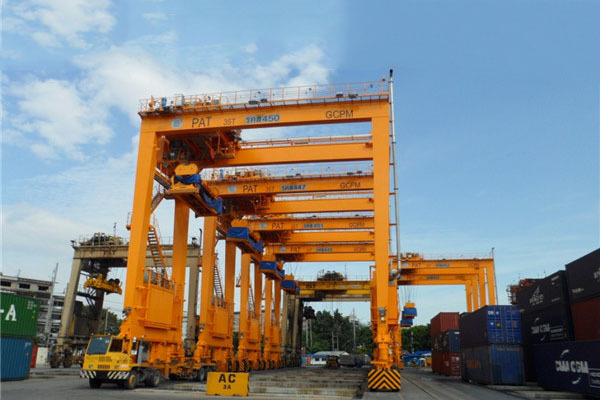 Electrical components are equipped in position that convenient to maintain, and with good protection to avoid inadvertent contact. 8. 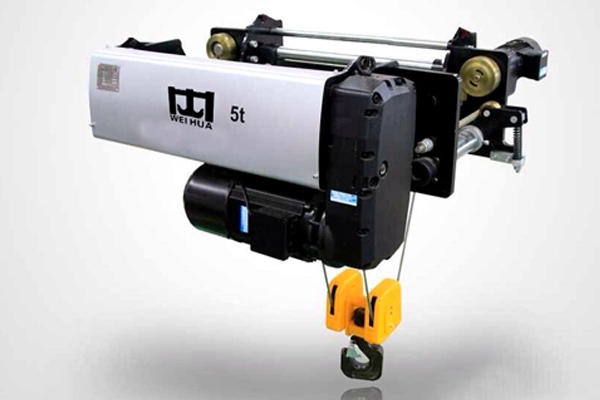 Electric cable is suspended in cable trolley which slides flexibly and smoothly on a C-type steel.